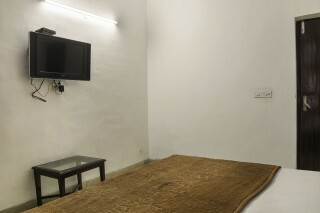 This property is a modern day Guest House located in one of the most modern cities of India, Gurgaon. It is located in the DLF Phase II, very near to the commercial hubs and offices. The Guest House comes with all amenities and has accommodations which is well furnished and well deigned. 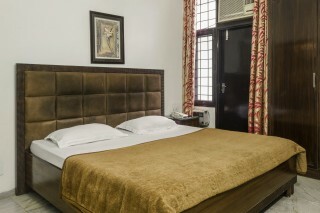 The Guest House is located with markets, food joints and restaurants within the vicinity. The rooms are neat, comfy and come with facilities like foreign exchange assistance, 24 hours power back-up, Power Backup available, 24 hours front desk, hot and cold running water available 24 hours, lobby for guest, Pest Control and ample security. There is also an in house restaurant for the comfort of the guests. Indira Gandhi Railway Station is at a distance of 12 kilometers. Travel Assistance facility available on phone. Gurgaon Railway Station is around 10 km away. IGI Airport is just 15 km away.